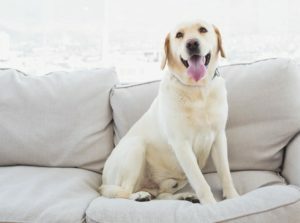 Make your own solution of 1/4 teaspoon of white vinegar (Dawn dish soap, laundry detergent, or non-ammonia cleaner) mixed with 32 ounces of water. 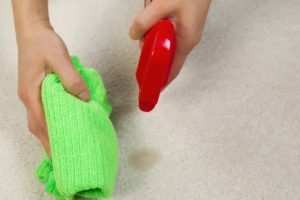 Mix one tablespoon of ammonia cleaning solution (like Windex) with one cup of water. 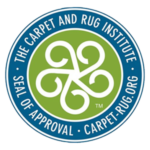 **Don’t try this on wool or wool mixed carpet. This requires a more mild alternative. 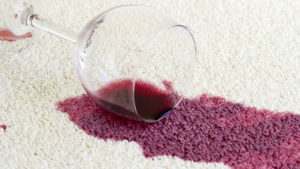 Place a paper towel or preferably a newspaper over the carpet and iron on warm setting. 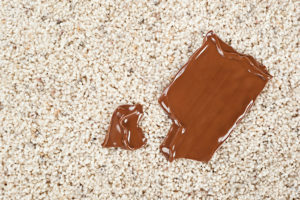 The wax, fat, or oil should come up off the carpet and stick to the paper towel. Moisten a cotton ball or soft cloth with rubbing alcohol and press it on the affected area. 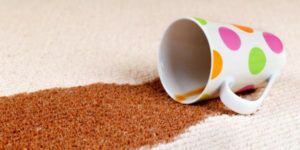 Once the glue residue is thoroughly moistened, gently wipe it off and repeat until the carpet is clean. Freeze the wax or gum with ice cubes. Then shatter it with a spoon or blunt object. Vacuum up the pieces before they soften. 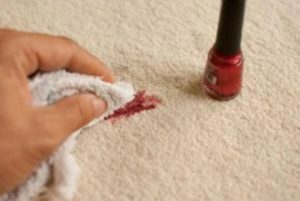 Blot the area with a rag dipped in nail polish remover- a small amount, note that this may take color out of a dark carpet.